For years people (parents in particular) have cited the many reasons why riding as a junior is a great extracurricular activity for teenagers, maybe even better than typical sports like soccer or lacrosse. Riding teaches important skills like time management, hard work, and self-esteem... and those long days at horse shows might even keep girls away from boys for longer (parents always love that idea). Now, there's another reason why showing in the equitation (junior hunters and jumpers count too) is possibly the best thing for adolescents. They learn how to fail. Learning how to fail is a buzz-worthy topic among parents, educators, and therapists. Carol Dweck's book, Mindset: The New Psychology of Success, has become required reading in certain circles. Too often in life today, kids are protected by their helicopter parents. We make sure our kids succeed and praise them endlessly for their accomplishments. This leaves them unmotivated to work hard to accomplish their goals. For their athletic endeavors, kids are given trophies for just competing from an early age, and even when they do lose sporting events at older ages, it's often as part of a team, making the defeats more palatable. In the horse show world kids can be bought the best horses and ride with the best trainers, but they still have to enter that ring alone. As everyone who has ever ridden knows, failure is a huge part of riding. Even the best riders fail... often. Junior riders face intense pressure at competitions like the equitation finals. And sometimes they come out of that ring devestated because they chipped or left too long, killing their chances of getting called back for the second round. From my junior years I can recall some of the top juniors cracking under the pressure at Regionals and not making it through, or having an unfortunate mistake in the test at the Medal Finals that dropped them from first to fourth. I wouldn't trade the lessons I learned from doing the eq for anything. The end of the world? It seemed like it at the time. It did when it happened to me at the last jump of the New England Equitation Finals my last junior year. I caught a flyer, marring an otherwise great ride, and putting me way out of the ribbons. But that's the great thing about riding--you pick yourself back up, learn from your mistakes, and come back to give it a shot another day. I might not have placed that day, but I'm nearly certain my mistake there fired me up to ride better at the rest of the finals. 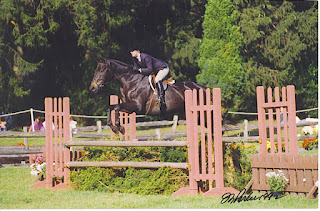 And, more than that, the lessons I learned from failing in the show ring, regrouping, and trying again, have no doubt stuck with me long after I aged out of the eq. So all that money you're spending on your kid competing? Take a deep breath... it might be the best thing you're doing for them. Not for the ribbons they'll win in the ring, but for how they'll approach the rest of their life. 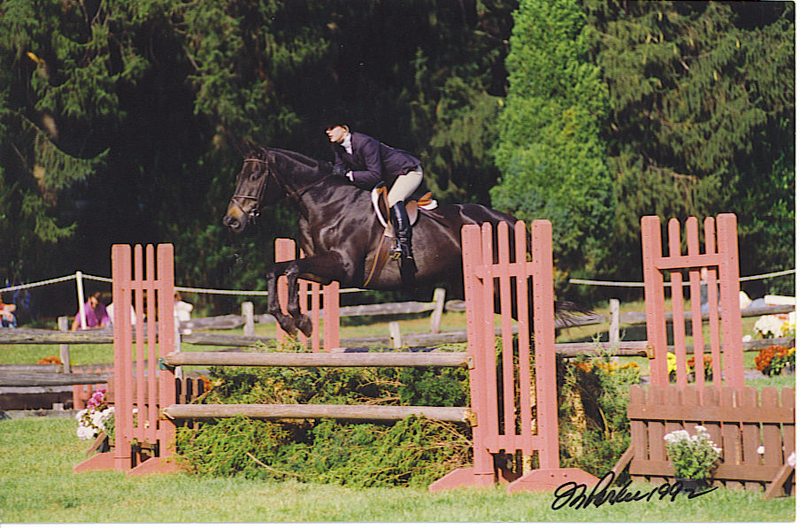 Kim Ablon Whitney is a USEF 'R' judge in hunters, equitation, and jumpers. Her latest novel is Winter Circuit. Follow her on Facebook.